Beyer Carpet Cleaning is all about family. Beyer Carpet Cleaning is a family business. Beyer Carpet Cleaning is a family owned and operated carpet cleaning company. 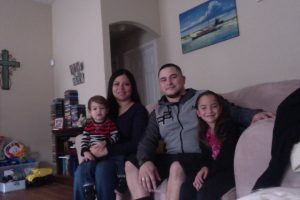 The founder of Beyer Carpet Cleaning, Joshua Beyer, believes that family should come first in everything. He started this business to provide a better family life for he and his wife and kids. Carpet cleaning wasn’t his first love but it was a way to provide food on the table and a home to sleep in. So why carpet cleaning? Carpet cleaning is not just an easy way to make money because people need or want carpet cleaning it was desire to provide the best and be the best. The carpet cleaning, steam cleaning industry doesn’t have such a good rep. You can find plenty of videos on YouTube showing how carpet cleaners rip people off by lying, changing their prices on the spot, or selling services the customer doesn’t need. Carpet cleaning San Antonio can also become very expensive. You can easily be fooled into believing you absolutely need a type of service a carpet cleaner provides and end up spending way more than you planned. So with all of this in mind and his lack of finding a reliable carpet cleaner in San Antonio Joshua Beyer decided to open a carpet cleaning company. 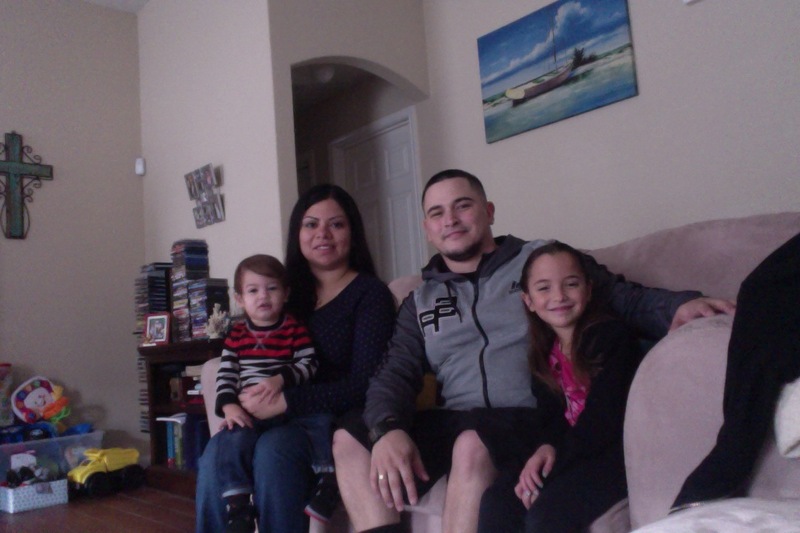 He wanted to change the face and industry of carpet cleaning in San Antonio. Carpet cleaners are a dime a dozen. You can go onto Craig’s List and find an endless list of carpet cleaners in San Antonio. Some of them promise you the world and don’t deliver. Many of them use a portable to clean your carpets which is not recommended by professionals nor is it the preferred method by customers who are looking to get a serious carpet cleaning job. Not only do you have the Craig Listers you have the bigger corporations that are local and national. They can promise the world and deliver but will charge you an arm and a leg to do so. They carpet cleaning experts and use truck mounted equipment. They are as professional as they can be but you the customer has to pay. Beyer Carpet Cleaning San Antonio falls right in between the Craig Listers and the big corporations. Beyer doesn’t promise the world but will deliver the type of clean and the services you need. Beyer has the same equipment the corporations do but without the high price tag. 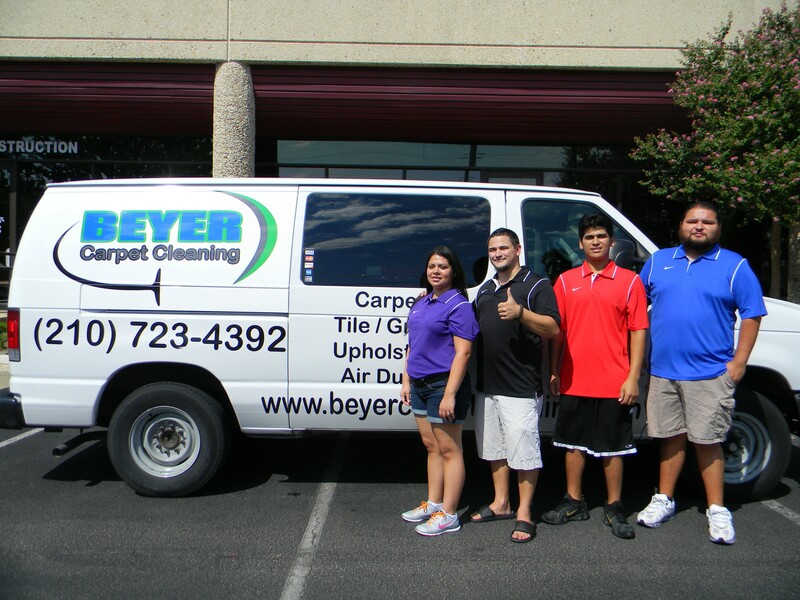 Beyer Carpet Cleaning has a reputation for quality customer service and quality carpet cleaning, tile and grout cleaning, and upholstery cleaning in San Antonio. Being a family owned and operated business means less expenses for the company so Beyer can pass along cheaper carpet cleaning prices to their customers. The next time you are looking for a carpet cleaner yes consider the price, yes consider the equipment being use but don’t forget about the little guy who can provide the high quality of carpet cleaning services you are needing for the right price. Call Beyer Carpet Cleaning!